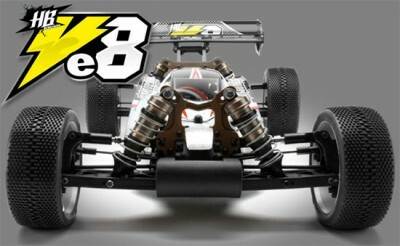 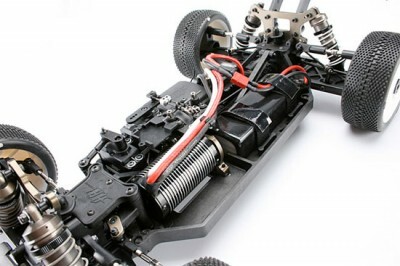 Hot Bodies have released details on their new electric powered D8 buggy, called the Ve8. 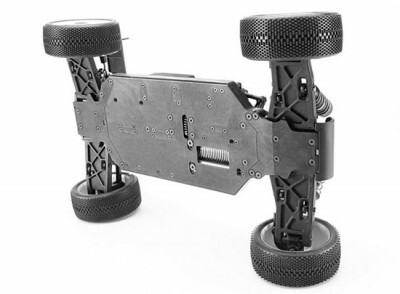 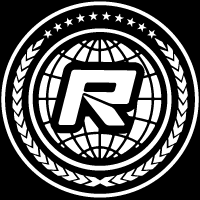 Based on the World Championship winning D8, it utilizes a molded carbon plastic chassis which provides a rigid and lightweight platform and the front and rear plates of the chassis are replaceable for quick inexpensive chassis maintenance. The Ve8’s motor is way up front, keeping the weight as close to center as possible and an optional mechanical brake function is included with all the necessary components and mounts to get you stopped in a hurry. 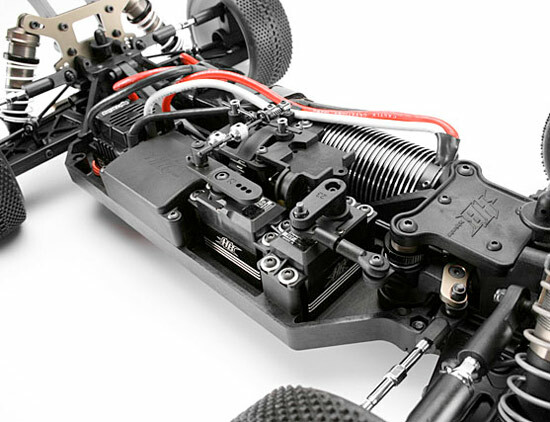 Not only does this give you added tuning ability with brake bias (not possible with motor brake) but it also keeps your motor and speedo cooler which might come in handy when your throwin’ down some serious lap times. 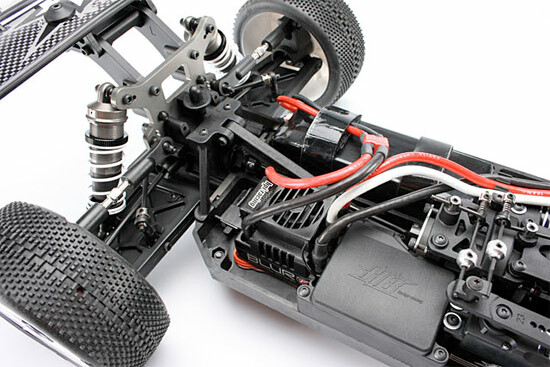 As with all HB kits, the weight is super low and this is further helped by the new low profile bodyshell that comes with the kit.